64 Zoo Lane :: Show Information :: RabbitTV GO! 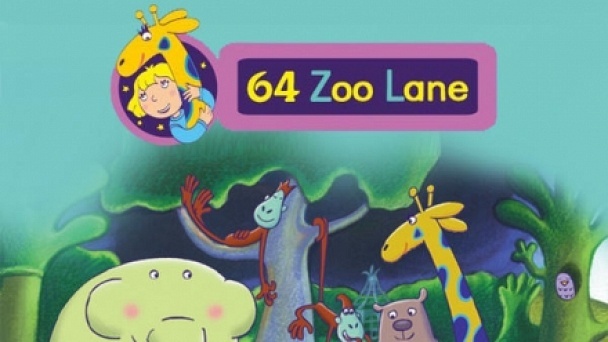 64 Zoo Lane is a charming animation series created by the award-winning director and creator An Vrombaut to captivate and inform young children. The series combines intelligent storytelling with a timeless, picture book quality, and features a whole range of diverse characters native to many parts of the world. Lucy lives at 64 Zoo Lane, right next door to the local zoo. Every night from her bedroom window, Lucy slides down Georgina the Giraffe's long neck to the Zoo below to meet the animals. Each animal, including Boris the Bear, Giggles and Tickles the two monkeys, Harriet the Hippo and Nelson the Elephant, have different tales to tell and each night they impatiently await their turn to tell her about their adventures. Opportunities for exploring language and vocabulary are enhanced by the use of intonation.